Tastefully renovated throughout, this three bedroom ensuite home is guaranteed to tick all the boxes. Enviably set in a quiet enclave amongst other quality homes, on approx. 664m2 of level ground and within close proximity to schools, buses and parkland. This single level family home offers a spacious lounge room with two luxurious bathrooms complete with under tile heating. A tastefully updated laundry with ample storage and modern kitchen with quality appliances, stunning concrete benchtops and open plan dining flowing out to the undercover outdoor entertaining area overlooking the low maintenance backyard – perfect for the kids. – Separate lounge room with ethanol fireplace and air conditioning unit. – Renovated kitchen complete with gas cooktop and concrete waterfall bench top. – Master suite with large walk in robe and renovated ensuite with dual shower heads and under tile heating. – Two good sized bedrooms with built in robes. – Modern bathroom with floor to ceiling tiling, large bath and under tile heating. – Ducted gas heating throughout. – Covered outdoor entertaining area with easy care yard. 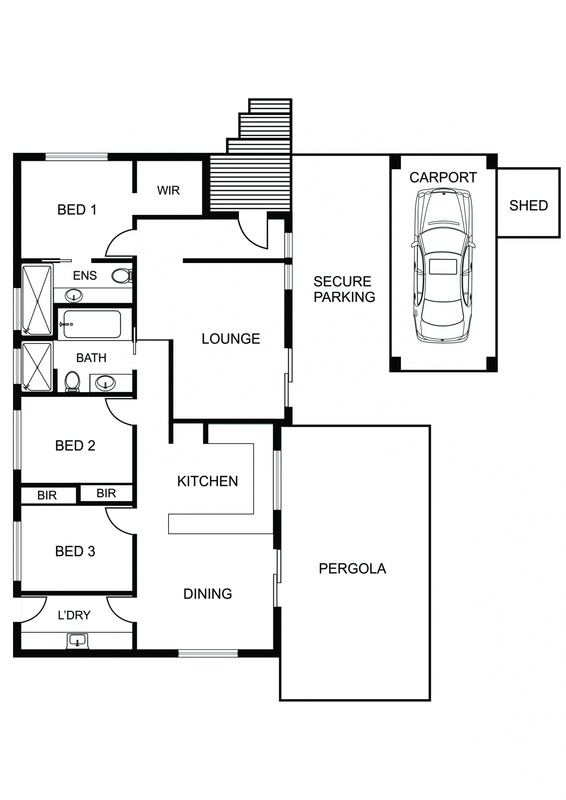 – Single carport with secure space for another plus ample off street parking. – Easy access to all arterial roads. – Close to all amenities including schools, playing fields and shopping centres.